It was late summer in 2011, I wanted to get my hands on something really badly, it was a certain cloth diaper. They were hard to come by, but they were out there, it just took some sleuthing to find them. I however, had no patience, and wanted it now. So I called this little store in Maine, that I knew was a retailer for this one particular cloth diaper I was really into at the moment, and a woman named Bobbi picked up. “Kelly’s Closet, this is Bobbi”. That phone call changed the way I looked at customer service, and online retailers forever. I called, asking to find out if they had a diaper brand in stock, or if they were going to be getting the new shipment that was currently on pre-order. They didn’t take pre-orders back then, but they were willing to take down my name, phone number, and told me they would give me a call when their order came in. When I gave her my name, she said, “Oh, Jayne! We know you, you order all the time”! I was floored. In my mind, Kelly’s Closet was the Amazon of cloth diaper stores with hundreds of employees. I had only made 20 orders by then, but I guess that was enough to make an impression. Or maybe my name was just so unique. I saw Kelly’s Closet as being just a giant corporation far away, that had a huge number of employees, tons of orders, and I was just a random customer but here was the owner (which I didn’t know at the time), answering my call and telling me she would personally call me back when what I was looking for came into stock. She even had a brief conversation with me, wanting to know a little of the reason for my large orders, genuinely curious I am sure, because really, who makes 20 orders in less than a year for cloth diapers? Me. When I hung up with Bobbi, I was over the moon excited that I would be able to get the diapers I wanted. It would be months before I would get them though, and a few times I thought, this is never going to happen, there is no way she was going to remember, but behold, I was sitting in my office one day looking out over the water, when my phone rang, and it was Bobbi, calling to let me know that their order finally came in, and all the items I was looking for except for 1 was in stock and they would send me an invoice. She really did write my name down, what I wanted and pinned it to her wall like she said she would. This was 2011, I had no idea Bobbi was the owner, and I had never-ever in my lifetime of shopping, experienced customer service like this from an online retailer. My view of the cloth diapering world had just been rocked. I ended up making another huge order within a few weeks of that for a cloth diaper starter kit that I was giving to a friend for her baby shower, and guess who helped me make sure I had a variety of colors even though the options weren’t available online? Bobbi. At this point, I think I asked Bobbi just how many people worked in her office, and she said it wasn’t many, and I thought, hmm, this must be the customer service rep. I would learn 4 years later that she was so much more. This call changed the way that I would look at customer service from that point forward and gave me a sense of pride that I was investing in more than just cloth diapers, I was investing in a company and it’s staff, who I might never know, but would eventually come to cherish. Kelly’s Closet… K.C…. The Diaper Shop…. this was the name that popped up on the threads I would read about on the topic of buying cloth diapers. I had been buying cloth diapers for a little while, but they were second hand, or they came directly from the manufacturer. I didn’t know there were options to find all the cloth diapers everyone was talking about in one place. I kept seeing Kelly’s Closet pop up over and over as the recommended place to buy cloth diapers on threads about shopping for cloth diapers, so finally, in that late chilly December day 5.5 years ago, I made my first purchase. Fueled by the freebie, I bought two diapers I was curious about, and eventually it snowballed from there. That first purchase was for a set of newborns that became a gift and an AIO that I was curious about trying. That purchase was $52.90. That might have been one of the smallest orders in my entire history with Kelly’s Closet which eventually became $6140.50 of cloth diapering purchases as of this day. I ended up shopping with Kelly’s Closet exclusively for the next 4 years. 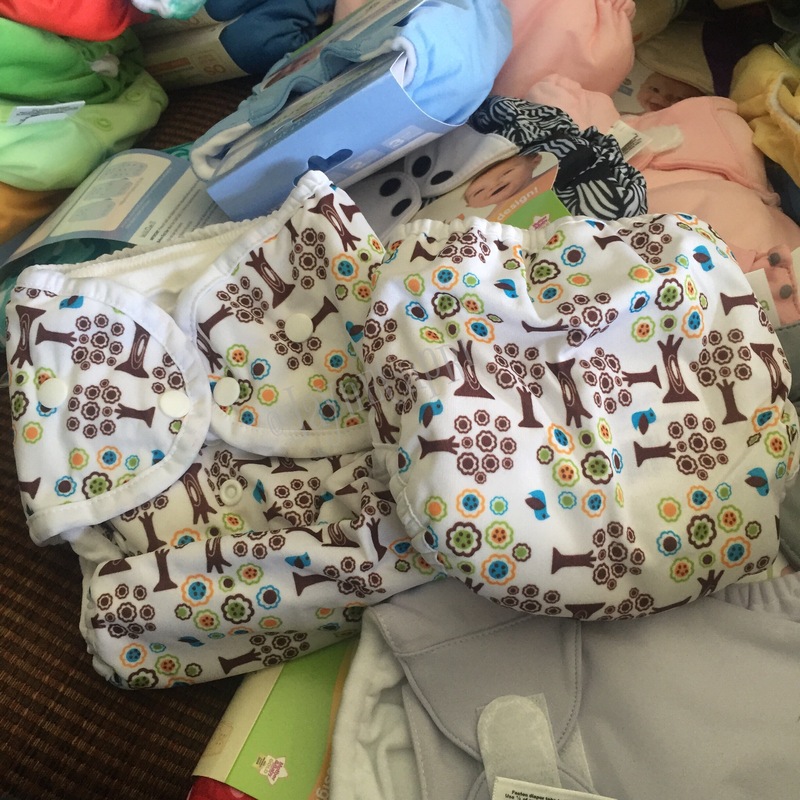 I eventually became aware of other cloth diaper stores, but none of them really popped to me the way that Kelly’s Closet did, because let’s be honest, the best freebies in town, were always know to be at Kelly’s Closet. They cornered the market with getting free diapers with every purchase, plus getting rewards with every purchase. It’s like a double dip you couldn’t beat, plus there was free shipping if you spent over $49, and why would you ever not spend over $49 when you get a free diaper? I started shopping at Kelly’s Closet, because it was all I knew, but I stayed shopping because the company offered a good deal, they offered a huge variety, and they offered customer service that set the bar. I’ve never been a blog follower, which is ironic since I am a blog writer, but apparently all these cloth diaper blogs existed before my blog ever did, and they all existed while I was self teaching myself about cloth diapers through Kelly’s Closet’s website and purchases. My entire cloth diaper knowledge base about cloth diapers came from what little I read in Cloth diapering forums on BabyCenter, what details I learned from reading the Cotton Babies, Grobaby (now GroVia), and Kelly’s Closet details sections under each item, and from multiple purchases of cloth diapers from Kelly’s Closet to try them out for myself. Potty training with cloth. Mind blown. Learned that at Kelly’s Closet. Bought my first few at Kelly’s Closet. Evolution Diapers, Moraki Diapers, Best Bottoms, CJ’s Butter, Applecheeks, Bummis, Tidy Tots, all introduced to me by Kelly’s Closet. Let’s just say, their emails about new products are very convincing. Kelly’s Closet helped start my cloth diaper addiction. They were single handedly responsible for my stash being built for years. They were also the store that helped me learn all that I needed to learn about cloth diapering, without being in my face, or making me drive to a class. Most importantly though, Kelly’s Closet made me come face to face with just how important small business is. While for a year I thought of Kelly’s Closet as a giant online corporation, they were a small business, and my interaction with Bobbi directly, gave me a sense of pride that I was supporting something small, that supported families who had a passion for something that I also loved. My life goal at one time was to own 1 of every diaper sold at Kelly’s Closet (back when they had a lot less selection than they do now). Over the years, my cloth diaper shopping slowed, and picked up, and slowed, and eventually our relationship drifted, and I might have cheated and found another store, but Kelly’s Closet has always been there, and they have always kept the same standard I have grown to love. They have had their hiccups, I have had order issues, and oversells, and frustrations on my part, which I am sure they had too, but always, Kelly’s Closet has tried to fix any and all issues. As the print addiction picked up across the cloth diapering world, I was always fascinated by the fact that Never-Have-I-Ever had a website crash with them. Which was new in what felt like a continuing cat-mouse-chase of “get the print”. I giggle every time I think about the world of “Prints”, because as far as I know, Kelly’s Closet had the first exclusive print ever, and it was with Thirsties, called Family Tree. I still have the original 2 that I bought in my Forever Stash (and rumor has it, they are still making it in all the new Thirsties styles). I’ve shopped at over 20 different cloth diapering retailers over the last 6 years, and even frequented stores in person, but I will never forget and stop loving Kelly’s Closet, or being a loyal customer. I know Calley, the “actual customer service Rep” knows that I frequent other cloth diaper stores, and slowed my roll in shopping with Kelly’s Closet because my needs changed. But it never ceases to amaze me that even though she knows I am not a 1 store girl, she never gives me attitude and still offers the same level of amazing customer service that I came to know and love in 2011. Kelly’s Closet has evolved over the years, adding carriers, blankets, diaper bags and more, and they will continue to evolve as they try and stay relevant. They have their own Facebook group for their fans with over 10,000 members, they host meet and greets with their fans at MommyCon events, and Calley, the current face of Kelly’s Closet, seems to never sleep as they create fun new promotions, and have never ending release parties. Their most amazing feature though, is their ethos. Kelly’s Closet is a shipping partner with Giving Diapers Giving Hope, and for a while now, they have been a supporter, donating diapers to Giving Diapers Giving Hope. This is what makes my heart swell most, and how can you not love a store that thinks of their customers needs, fuels the cloth diaper addiction with more free diapers, and gives back in time and diapers to give families who can’t afford diapers, to be able to cloth diaper. Kelly’s Closet has been there since the beginning of my journey to discover cloth diapers, and discover myself, and if there is any store I am glad to have be part of my journey, it’s Kelly’s Closet. I look forward for probably another 5- 15 years of fun shopping as I continue this journey, because let’s be honest, it’s an amazing place to shop, and you never really can forget your first. Now if only they had a concierge service that sends me the newest diapers every month. Oh wait, that’s called the diaper fairy and they have that too. Hmm.